One of the delights for those of us who work with group charters is welcoming new folks aboard and learning about their organizations. Two of our latest newcomers—Michigan Museums Association and Demented Mitten Tours—are very different from one another, but share an interest in visiting particular parts of our Great Lakes State. Also, they charter our motorcoaches for shorter trips, not long, multi-day excursions. The mission of the MMA, founded in the late 1950s, is to share expertise and resources in order to help Michigan museums flourish. Its members include art, history, science, military, maritime, and youth museums, aquariums, zoos, botanical gardens, arboretums, historic sites, and science and technology centers. Many are dedicated to preserving—and growing—historical collections related to our state. “Our annual conference is always held in Michigan,” says Julie Cook, an MMA volunteer who helps organize the events. “Our themes each year are built around helping member organizations to thrive, so they center on collections, education, advocacy, outreach and funding.” When she’s not planning conferences and workshops for MMA, Cook serves as collections coordinator for the Historic Ford Estates in Grosse Point Shores. Last fall, on behalf of MMA, she worked with Indian Trails to transport 200 attendees to points of interest around the Greater Lansing area from their conference site at the Radisson Hotel downtown. As a first-time Indian Trails charter customer, Cook says the MMA appreciated how smoothly everything went for its group trips to sites such as the Michigan Historical Center and the Eli & Edythe Broad Art Museum at Michigan State University. Carpenter pounced on the idea of doing something similar in the Greater Lansing area. She immersed herself in historical research, focusing on paranormal and true crime stories, and mapped out potential tours. In 2017, they added tour routes, began featuring special guests, organized theme nights, and sold out again. 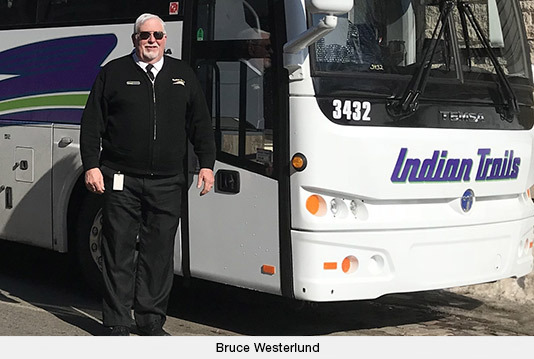 With demand far exceeding capacity, they turned to Indian Trails and chartered one of our 34-passenger coaches, almost tripling the number of tour-goers they could accommodate. The unique—and macabre—themes of Demented Mitten Tours include “Horror in the Heartland,” “Demented Lansing,” “Wild Wild West” and “Monsters and Mobsters.” Tours are offered monthly from March through August, and every weekend in September and October. They typically last three to four hours. Guest experts on the history of the area, crime, and the paranormal often ride along to provide details and answer questions. Carpenter says the subject matter draws folks of all ages, but they recommend the creepy tours for those who are 18 and older. Her notoriety as an operator of weird tours has brought her success as an author, too. Arcadia Publishing contacted Carpenter about writing a book about haunted locations in mid-Michigan. As a result, “Haunted Lansing” will be in bookstores this fall, with a September 8 book signing and launch party at the Turner-Dodge Mansion, which is said to be home to the ghost of a founding family member. When service is your business, it’s always gratifying to receive a thank-you note from a satisfied customer. She was talking about a recent trip to several performance sites in Western Michigan with her choir—the U-M-Flint Chamber Singers—on a chartered Indian Trails motorcoach. That driver was Bruce Westerlund, who’s been with us for the past six years. Bruce’s route to Indian Trails was a bit circuitous. A Detroit native who’s lived in Owosso for 50 years, Bruce had worked as a builder and remodeler for more than two decades. But when the 2008 recession occurred, things went south for Bruce both figuratively and literally. “I had to devise a Plan B,” he recalls. And that is how he wound up as a facility engineer at the South Pole working for a government contractor for the U.S. Antarctic Program. He spent two summer seasons there. 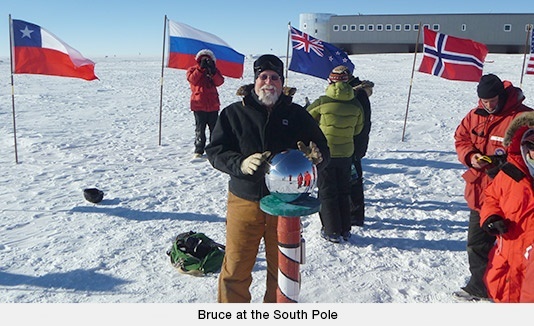 “It’s pretty isolating with nothing but a white desert of snow and ice where the temperature is 35 degrees below zero on an average day.” Next came Plan C.
A switch in government contractors changed Bruce’s plans to go back to Antarctica for a third year. Instead, he answered an ad to become an Indian Trails’ driver. A retired Teamster, Bruce already had a commercial driver’s license. After training with us, he first handled regularly scheduled runs to Chicago, and then switched to charter bus driving. He’s taken groups throughout the Midwest and East Coast. “I like traveling to different places and meeting new people,” he says. Besides safely transporting passengers to and from their destinations, providing top-notch customer service is at the top of his priority list. “I make sure the bus is all prepared and do my best to take care of my customers so I can meet and exceed their expectations.” It helps, too, he says, to be able to roll with the punches. He likes the unanticipated rewards of driving a charter bus, such as the time he was serenaded by members of the Mormon Tabernacle Choir when he helped transport the group to one of its concert destinations. “That was great,” says Bruce. Did you know that Operation Safe Driver Week is observed across both the United States and Canada each year? Don’t fret if this is news to you. 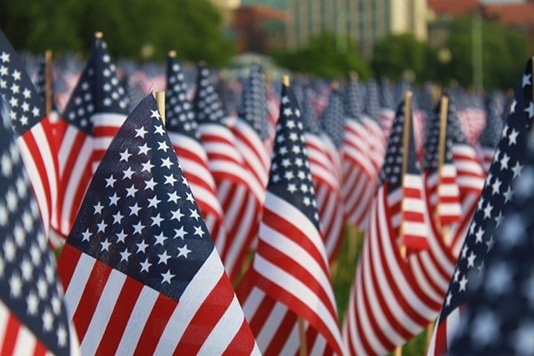 Dozens of day-, week- and month-long periods have been designated for special awareness or commemoration each year. Governments, religions, corporations, associations, occupations, and even comedians create them. Still, you should be aware of Operation Safe Driver Week. In 2018, it’s July 15-21. 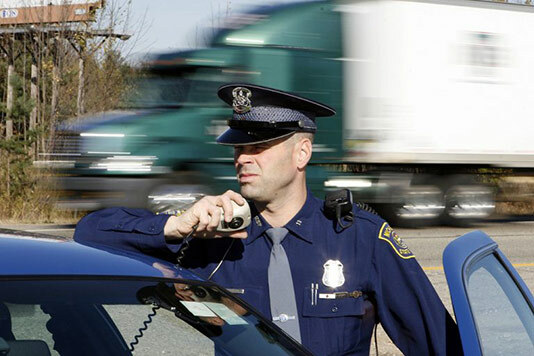 That’s when traffic safety personnel (i.e., police) will be on the lookout for unsafe behaviors by drivers of both passenger and commercial vehicles. Last year, enforcement personnel issued 59,193 warnings and citations for “unsafe driving behaviors” during this one week. Dangerous actions like speeding, distracted driving, texting, failure to use a seatbelt, following too closely, improper lane changes, failure to obey traffic control devices, etc., get the attention of the authorities. According to the Federal Motor Carrier Safety Administration, unsafe driver behavior causes more than 88 percent of large truck crashes and 93 percent of passenger vehicle crashes. Operation Safe Driver Week, sponsored by Commercial Vehicle Safety Alliance, was created to help to reduce the number of crashes, injuries and deaths from collisions between passenger vehicles and large trucks and buses. Word to the wise: Speed kills, as does the failure to use a seatbelt, so take care out there. Finally, our passengers can take comfort in the fact that—when it comes to safe driving—Indian Trails is ranked among the top 5 percent of transportation companies nationwide by the U.S. Dept. of Transportation. Less than 1 percent of other transportation companies in America have better records.